If you are a motorcycle racing enthusiast and a fan of Guy Martin, then this fundraiser will definitely appeal to you…. 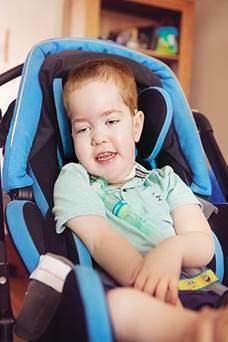 Robbie Kemp, and his sister, Rebecca, are fundraising for the Myotubular Trust. 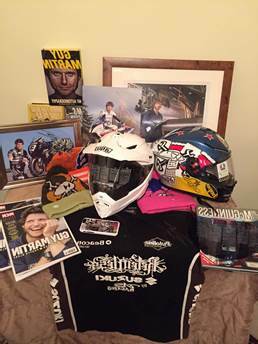 They have put together a fantastic array of goodies, all signed by Guy Martin. The bundles are being raffled and could be yours in return for a donation of £5 (see below for entry details). To enter the raffle and to be in with a chance of winning, please visit https://mydonate.bt.com/fundraisers/matthewstt2017 (Please don’t tick the ‘Anonymous donor’ box as you won’t be identifiable if you do). Winners will be drawn from a hat one week after the end of the TT 2017 which takes place between 27th May and 9th June. Huge thanks to Robbie and Rebecca for their continued and amazing support, and to Guy Martin, as well as to all who enter the raffle. We truly appreciate the support.